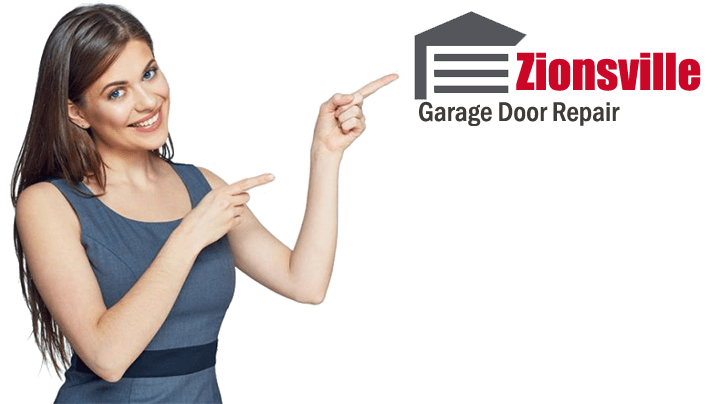 Garage Door Repair Zionsville is your one-stop shop for all your garage door service needs. Whether you need a string repair, garage door opener repair, off track repair, etc., our team have got you covered. Our team is composed of adept and certified technicians with years of experience repairing the garage door. The experience also provides them with the knowledge necessary to solve your garage door concerns in the most convenient and prompt way. So your garage door will be good as new and function as they are supposed to do. Our team is also equipped with state-of-the-art tools and quality garage door parts to guarantee the quality of your doors. 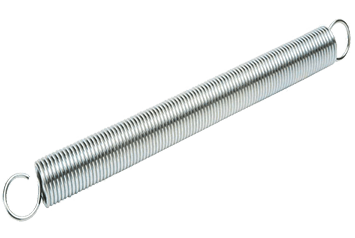 Garage door spring may be a small part of the garage door but it plays a crucial role in its operation. Without the spring, it will be difficult or even impossible to open and lift a garage door. So when certain elements damage this part of the door, you should immediately seek an expert’s help to repair it. There are lots of reasons why garage door spring breaks. One of which is rust. Springs are typically made of metal and this material is susceptible to rust. Rusts aggravate friction while weakening the coiled spring, resulting in wear and tear. Poor maintenance can also cause the spring to break. As a small part of the garage door, springs are often overlooked. It also tends to be the last thing you notice until the garage starts malfunctioning. Some property owners have to deal with broken spring because they install cheaper strings hoping to save money. But their cost-saving schemes just cost them more money in the long run. Last but not least, garage door spring breaks due to years of use. There’s no torsion spring or extension spring that can last forever so no matter how good the quality and maintenance. Garage spring will break at the end and you will need a replacement or repair. For broken garage door springs repair or replacement, do not hesitate to contact our team. We have experts who can help you get your garage door back to its good condition. 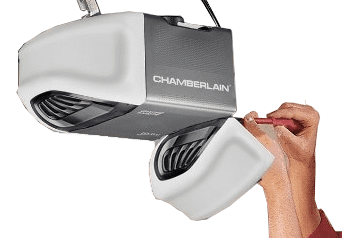 Garage door opener products gradually improve and changes through time. These days, what you can find in the market are becoming more sophisticated, bringing security to a whole new level. Your model may already be outdated but in case you do not want to change it yet, our team can help. Our staff are adept and can help you fix whatever concern it has. We can fix it if it's severity does not call for a replacement yet. In case you need a replacement, our team will help you have a new opener. We make sure it is made with the state rules and regulations in mind as well as robust quality for optimum security. Our team is trained to handle repairs of a plethora of opener brands. If you want to know how our team can help, do not hesitate to call. Garage door cable works simultaneously with springs. It is one of the garage door components that make sure the door operation will go smoothly. The cables can be seen at both ends of an axle on which the garage door springs reside. If broken, the cable can generally compromise the entire door’s operation. Just like the springs, the cable can also be susceptible to damage. When your garage door cable came off, we can help you replace it. So you do not need to deal with the hassles, stress, and even put your life and everyone around at risk. Our experts know the nature of the garage door and cables. Therefore, they can help you install the cable properly in no time. We also search the market to find the quality materials and parts to ensure you get the best bang for your bucks. It may not be as cost-effective as doing a DIY garage door cable repair or replacement. But we assure you with more savings in the long run. Getting the installation right at first attempt will be more affordable than doing the installation yourself and ending up wrong. Our team also knows what things can possibly wrong and take precautionary measures to avoid them. Hence guaranteeing the safety and security of everyone around. Garage door rollers are what keeps the garage door attached to the garage door tracks. It allows the door to operate smoothly. 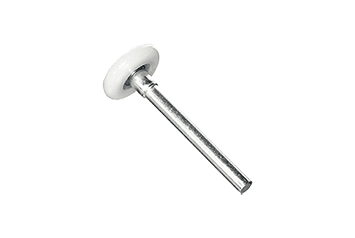 But just like any other mechanical part of the door, the rollers can also be susceptible to damages. We recommend replacing your roller if you need to replace your springs. You will also know that this part already needs replacement if it starts making a clicking sound. Replacing this part of the garage door can be quite easy. Therefore, many property owners tend to choose to do the task themselves. However, it is important to note that you will be working with a huge moving object. Its weight is often heavy enough to cause lethal injuries to anyone around. So despite all the guides and trends, we suggest you still choose the experts to replace your door’s roller. When you hire expert technicians, you will not have to deal and worry about the safety of everyone around. There is also no need to worry about whether or not the roller is installed properly. As a bonus, we can help you find the best roller that can last for years and is worth your bucks. You also do not have to purchase any material or tools you need for garage door roller replacement. We got everything. All you need to do is call our team, and wait for our technicians to arrive in your place. Eventually, you can get a good working garage door in no time. 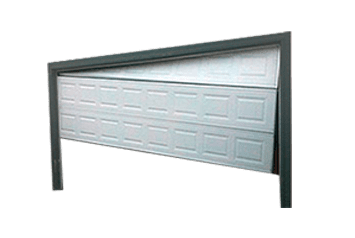 A garage door can come off track because of numerous different reasons. Among those are a disaster like an earthquake, the track gets hit, or the springs are not in good tension. Whatever the reason is, our team can help you get your garage door back on track. A garage door is a heavy moving object so dealing with it when it goes off track can be risky. A DIY garage door repair may even cost you more harm than good. So we recommend you find and hire certified technicians who are knowledgeable about getting the door back on track. They should also know what safety precautions to take. A garage door is an important moving part of our house. However, no matter how significant it may seem, most of us likely fail to recognize its importance. It is the last thing that can come to your mind until it malfunctions. 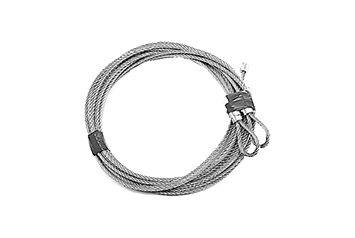 When the garage door cable came off, feel free to contact us to help you with its replacement. A malfunctioning door does not just bring hassle and stress but may also cause accidents or injury. So it is advisable that you fix it immediately. Our team offers a wide spectrum of garage door services so you can get the door moving in no time. Just give us a call if you need help in replacing, repairing or installing a new garage door.